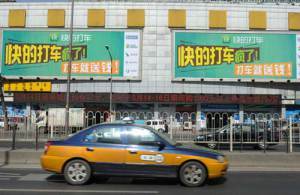 In China the easiest way to get around is to hit a taxi (dǎ dī), or you could hit a car (dǎ chē), which is obviously not the same as getting hit by a car. It just means “take a taxi”. 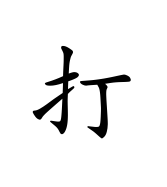 In fact the word hit (dǎ) has far more general use in Chinese than the English word does. If you want to call you friends you can hit a phone (dǎ diàn huà), the guys might want to get together to hit a ball (dǎ qiú) and hit open (dǎ kāi) a few beers afterwards. Or you could hit open (dǎ kāi) the TV and see if anything good is on. The examples seem almost endless, which is why the word dǎ 打 is an important one to learn even if your Chinese is only a basic level.